The girls must have heard about the last post (see 9 out of 10) and decided to do something about it. By 9 a.m. today they had already produced 9 eggs, which now seems to have become a standard number per day for them. But at 5:30 this afternoon I noticed one of them in a nest box and, sure enough, shortly thereafter egg number 10 was in the box. 100% production for the day! That is a lot of work for these girls. I read recently that producing an egg every day is something similar, in terms of nutritional demands, to a woman having a baby every week. Whether or not that is true, we are impressed. In addition, the eggs are getting larger. 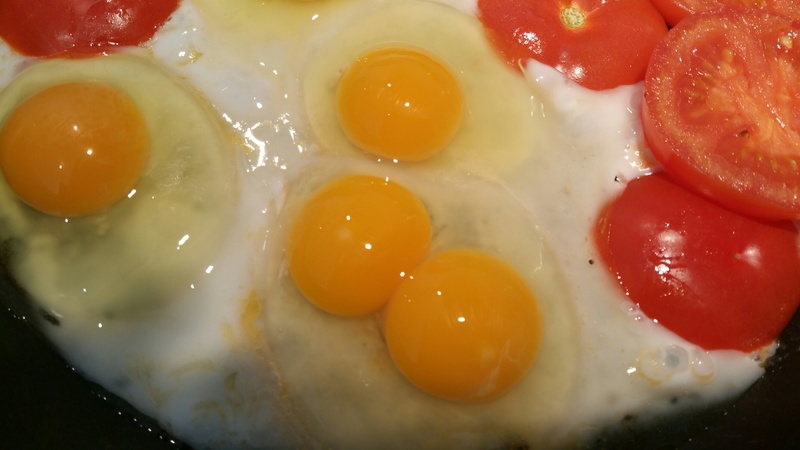 Yesterday, we had our first double-yoke egg. Our first double-yoke egg. I had thought only mature hens laid them but one of ours has done it at 21 weeks. 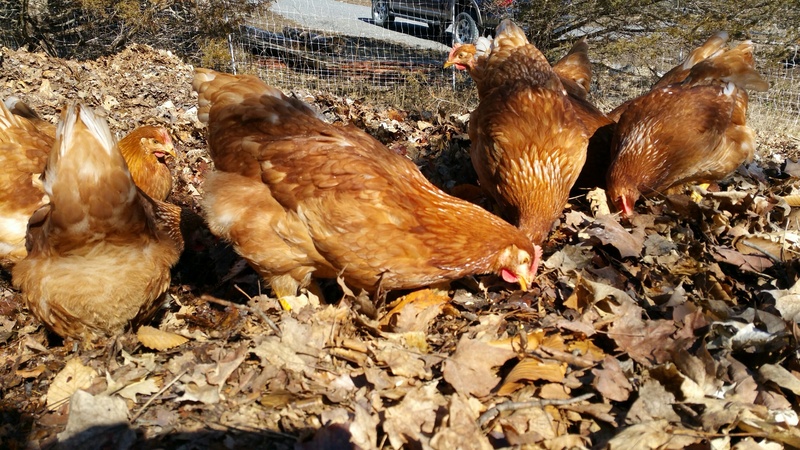 It is a lot of energy to produce eggs, so they are busy foraging for food. Sheila wondered about the wisdom of yet another post on our girls but I thought it was wise to do this one now before the poor girls get forgotten in the excitement of our goats arriving. We received a call this evening that we will be able to pick them up in the next few days. Bring on the goats…but our warmest congratulations to the girls..and their next of kin! Bob: what breed of goats did you decide on?